Issue #2 dips another toe in the bloody waters of everything The Walking Dead, from the comic to the series and everything in-between. 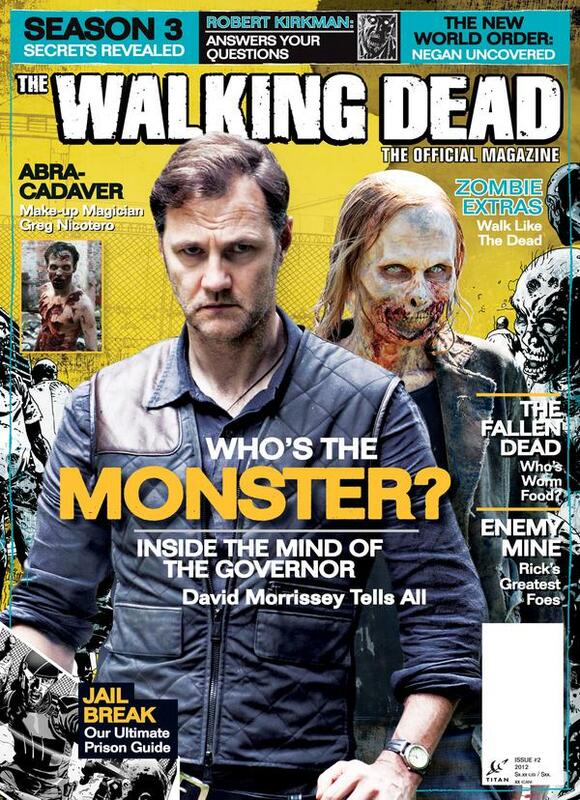 This issue, creator Robert Kirkman answers readers' questions and reveals what to look forward to in the coming weeks; The Governor himself, David Morrissey, tells us what it's like to play the villain; we interview make-up/SFX legend and co-executive producer Greg Nicotero; and, in the comics, we profile Rick's current nemesis, Negan, and pay our respects to those original survivors who are now word food. Available in Newsstand and PREVIEWS Exclusive editions.